We have a seminar for you on a BESTSELLER written by Stephen Covey, American educator, author, businessman, keynote speaker and a professor. The 7 Habits of Highly Effective People, first published in 1989, is a business and self-help book, which has been a top-seller for the simple reason that it ignores trends and pop psychology for proven principles of fairness, integrity, honesty, and human dignity. Covey proclaims that values govern people’s behavior, but principles ultimately determine the consequences. 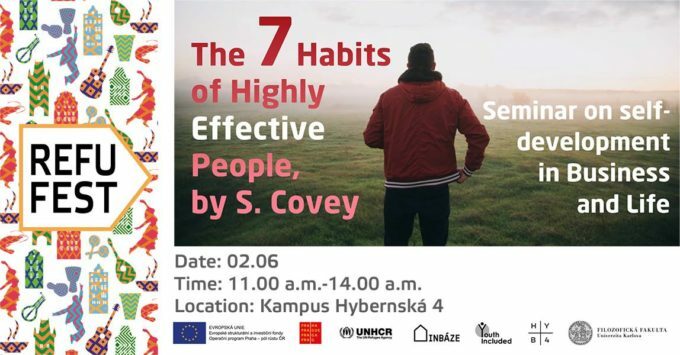 Covey presents his teachings in a series of habits, manifesting as a progression from dependence through independence on to interdependence. It has helped thousands of people to solve personal and professional problems, and this is pretty impressing. In this seminar we will have an overview of this legendary book which should serve as an introduction to the new dimension of living a more happier, conscious and sublime life. Number of seats is limited so please be on time.